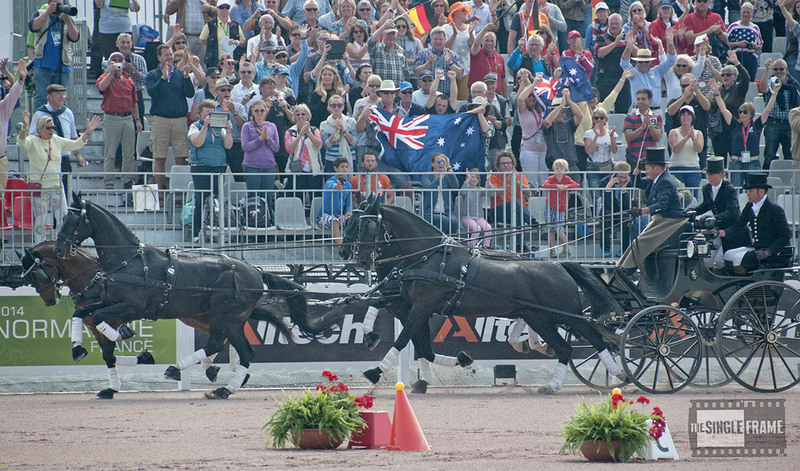 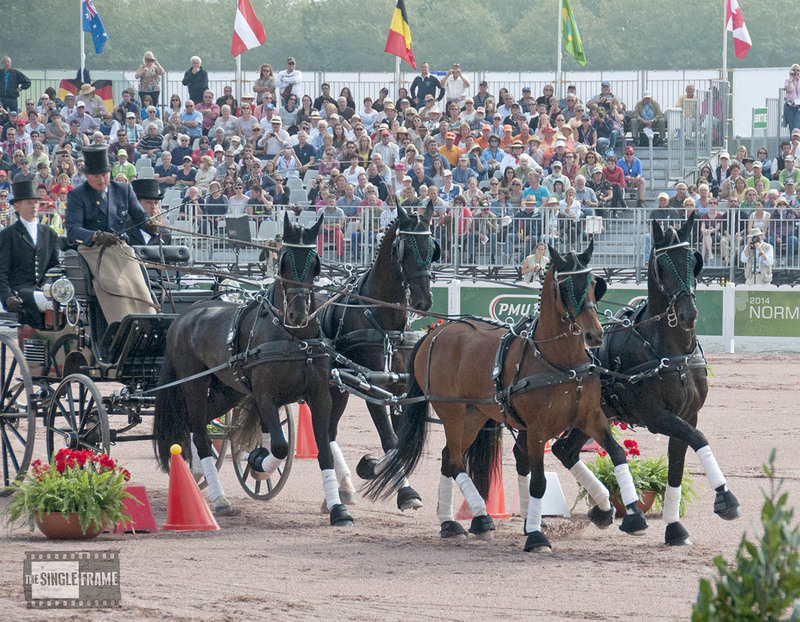 Here, finally, are some photos from last Sunday’s cones competition at the World Equestrian Games. 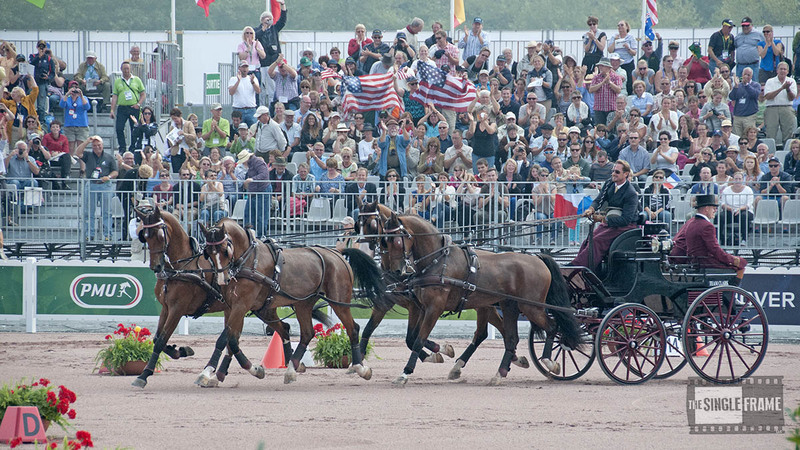 As you already know, Boyd Exell won the individual gold medal. 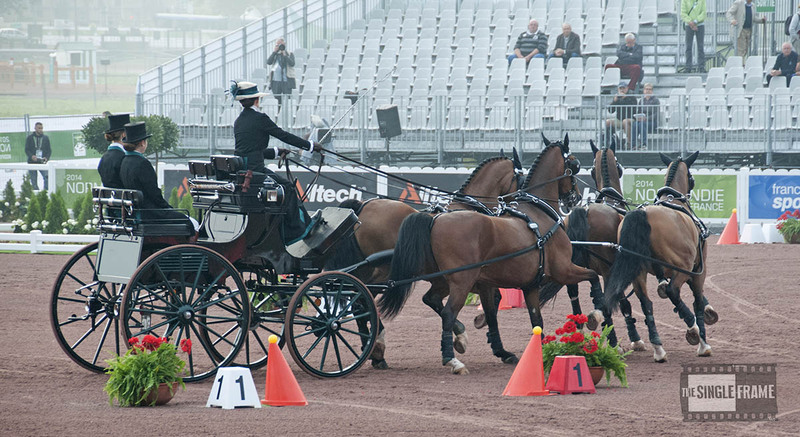 He was the last driver to tackle the cones course, and he had a double-clear round to win the gold medal. 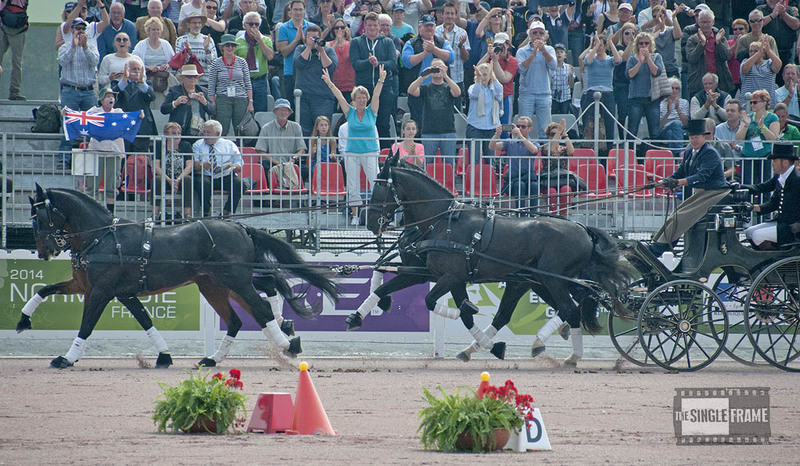 After finishing the course, he patted his wheelers and set off on a victory lap … which his horses sure seemed to enjoy. 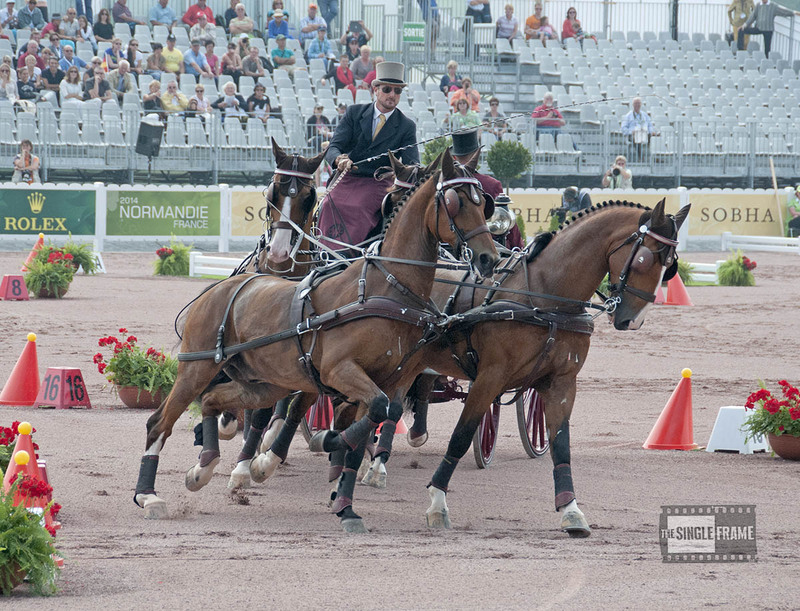 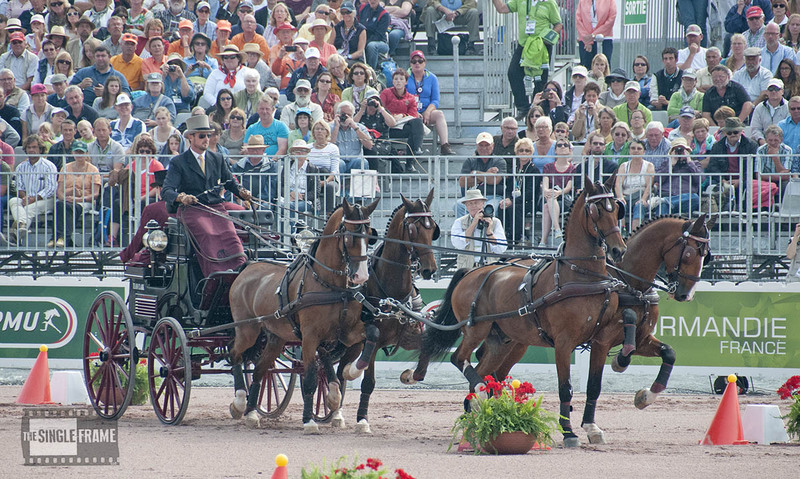 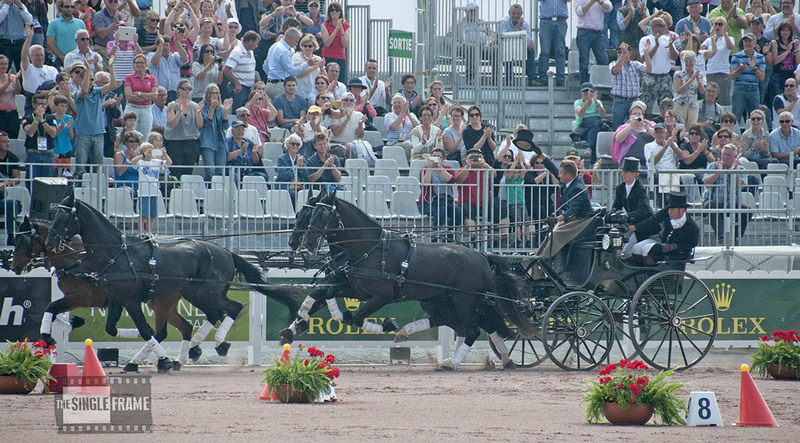 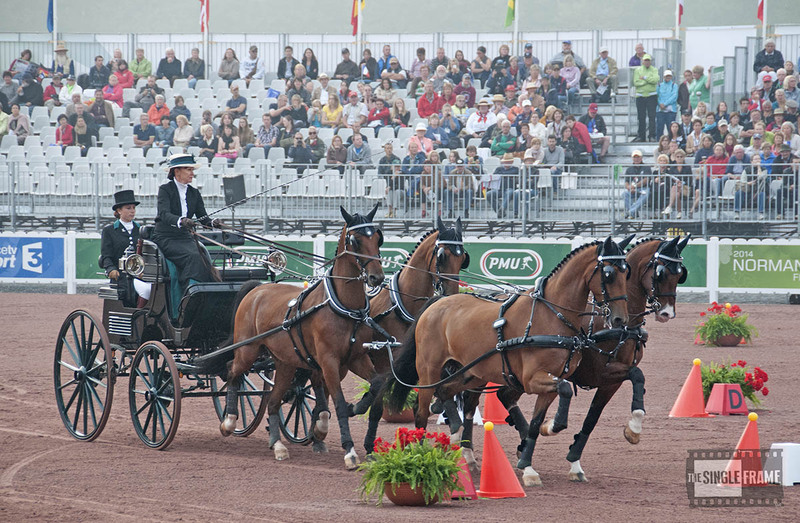 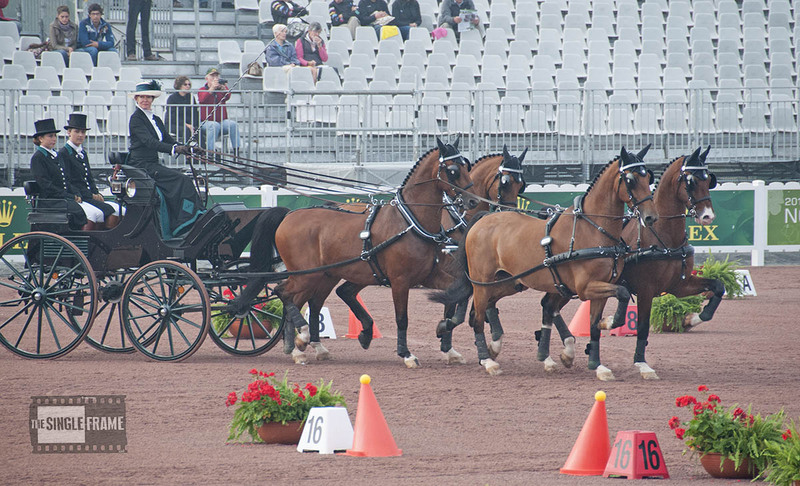 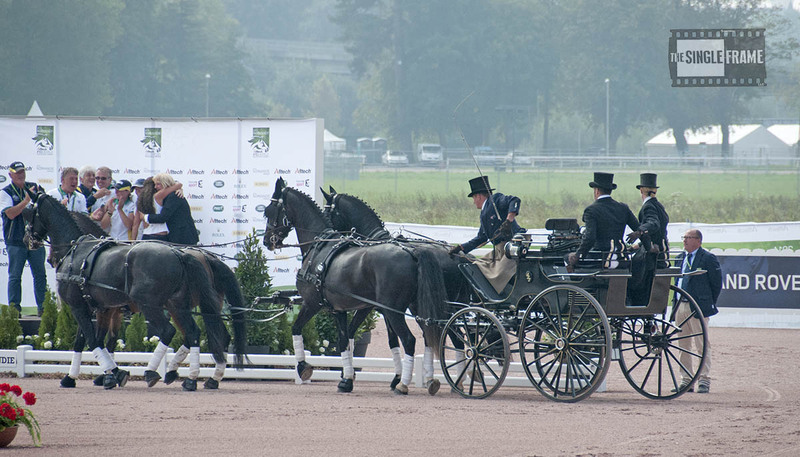 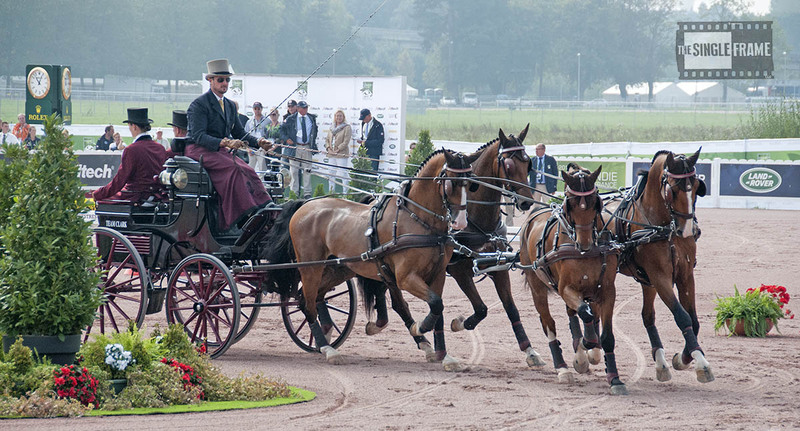 And that’s it … I hope you’ve enjoyed your virtual visit to the Driving Championship at this year’s World Equestrian Games in France!